I just finished speaking at the MIPA Fall Conference in Lansing, Michigan. Great conference. Great people. Great day. Here is one of the presentations I gave there. 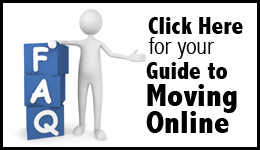 It’s on 10 Steps to Moving Online. It’s a presentation I have done a few times at JEA/NSPA national conventions with Carmel High School (Indiana) adviser Jim Streisel. I think the presentation lays out the 10-step process staffs need to follow when they move online. Feel free to ask questions about what’s within in the comments section below. Our district has given us the permission to establish on-line publications this year, but they want to impose strict rules such as: no student last names should be published. I have been appointed to a team to find out how other school districts are establishing their guidelines so that we may proceed with a more journalistic and realistic approach. Our district has 11 high schools in it and we would all be subject to the same guidelines. Do you have any type of rules/guidelines established through your school or district that apply to on-line media? Would you mind sharing? Lots of schools have to deal with this same question when moving online for the first time. I have put a couple links below from this site that might help you out. In a nutshell though, the same rules should apply for your online publications that apply for your print publications. If you can print full names in your print you should be able to online as well. Many schools allow for an ‘opt out’ rather than an ‘opt in.’ So, if students don’t want their image or name on the site, they can fill out a form that says they don’t want to be a part of it. Going the other route would be a nightmare. Hope that helps as a start. If you want/need more, feel free to comment back or contact one of us with our contact info on the right sidebar. Good luck!